Got an invasion of zucchini you don't know what to do with? Here are some tips. In my old neighborhood, we only locked our doors during zucchini season. Waves of the vegetables would arrive at our doorstep, sent by those who were too sick of them to eat any more. No matter how many stir-fries, fritters, pizzas and tamales we threw them at, the zucchini kept coming ... like a crowd of hungry zombies. The relationship between man and zucchini can get so adversarial that the concept “know your enemy,” from Sun Tzu’s The Art of War, becomes apropos. If you hope to weather a sustained zucchini attack, it helps to understand your foe. So here are four burning questions about zucchini, followed by my answers, that will help you use and appreciate a crop that, as we speak, is taking over gardens across the Northern Hemisphere. While any size zucchini is edible, those larger than the average cucumber should be avoided. The seeds get bigger, the skin gets thicker, and the flesh starts to dry out. 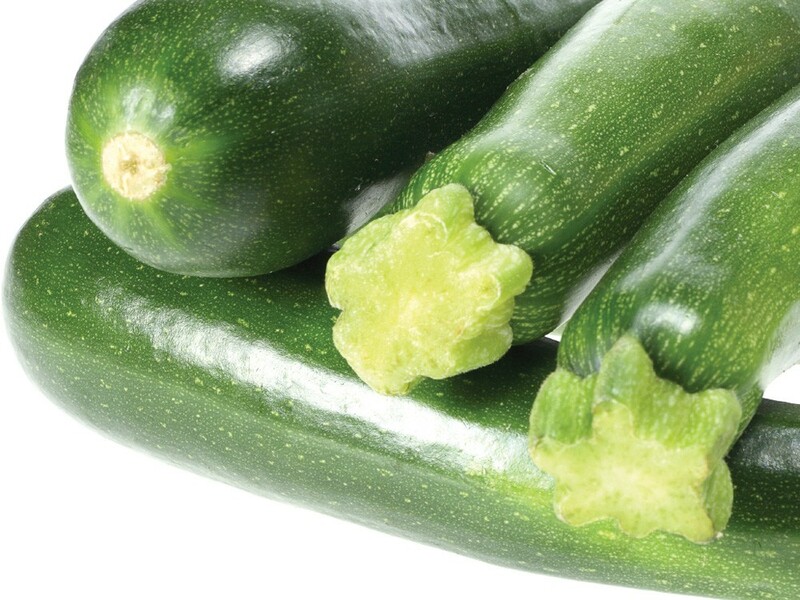 Many European shoppers won’t buy a zucchini that doesn’t still have a flower attached. A final note on the big-versus-small issue: The difference between summer squash (of which the zucchini is a member) and winter squashes like acorn or butternut is that summer squashes are eaten while young and tender during summer, and winter squash varieties are consumed after they harden in fall. Shoppers at farmers markets often gravitate to yellow zucchini because they look pretty on a plate, but conventional wisdom says they taste the same. I detect a mild, off-putting pungency in the aftertaste of yellows, though I have yet to find anyone who agrees with me on this, and some people find the yellow ones sweeter. Ironically, yellow zucchini are often more expensive than greens, which is yet another reason to avoid them. Like most food, zucchini is better fresh. But before you allow a pile of zucchini to guilt-trip you into eating more than your body is designed to appreciate, remember: It’s quick and easy to put that zucchini in frozen storage for later. The University of Missouri Extension recommends steam-blanching unpeeled grated zucchini for one to two minutes until translucent. Drain well, pack in containers and cool by placing the containers in cold water. Seal and freeze. If watery when thawed, drain the liquid before using the grated zucchini. Frozen grated zucchini can be a commodity in winter, successfully assimilating in a surprising number of dishes, from tomato sauce to stuffing to chocolate zucchini mayonnaise cake (more on this in a minute). When added to most dishes, grated zucchini keeps a low profile, quietly adding body, moisture and nutrients to the dish. So, next time you have a zucchini log-jam, calmly grate, blanch, and freeze your extra zucchini and get back to enjoying the summer. When you have more zucchini than neighbors to dump them on, you don’t have to choose between sweet and savory recipes, because zucchini goes both ways. Clotilde Dusoulier, Parisian foodie and author of the blog Chocolate & Zucchini, writes that she hadn’t even tried the two together when she chose that name. She simply liked the contrast between earthy, healthy zucchini and decadent chocolate. It turns out, she says (and I agree), that chocolate and zucchini play well together in both sweet and savory applications. On her blog, Dusoulier shares an adaptation of a family chocolate cake recipe that she’s modified to include zucchini. It’s very involved but worth checking out. Alas, my family doesn’t have its own chocolate cake recipe. But, growing up, we did usually have a jar of Hellmann’s mayo in the fridge, and Hellmann’s mayo always has recipes on the label — one of which was for chocolate mayonnaise cake. (You can find the recipe at Hellmanns.com.) This became the closest thing I had to a family chocolate cake recipe, and it opened the door to a realization I’ve lived by ever since: You can make almost anything better with mayo. You could almost say the same thing about zucchini, including in chocolate cake. I’ve had good luck adding grated zucchini to the Hellmann’s chocolate mayonnaise cake, as well as many other chocolate cake recipes, including boxed mixes. The shreds of zucchini melt into the batter and don’t interfere with the baking process, while adding moisture, fiber, and bulk to the finished product, even as it remains in the background, virtually undetected. And on the savory side, a great summertime zucchini option is to sauté zucchini chunks with chopped onions until soft, then add fresh cut corn, garlic, crushed chilis, black pepper, and soy sauce. It’s kind of like succotash, but there is no suffering involved. If only all zombies were so easily subdued as zucchini.